Nikki DeVries is the producer for MAKE IT IN LA’s Maker Walk. 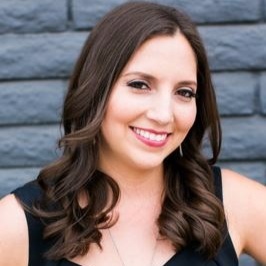 Nikki is an experienced and dedicated professional with 5+ years of wedding & event planning experience with over 400 events under her belt, primarily catering to the Greater Los Angeles area. Nikki has a large array of experience in the events industry. From red-carpet events, fashion shows, kids birthday parties, conventions, social events and weddings catering to various cultural backgrounds. She has proudly been a part of the Happily team since 2014. She has also gained invaluable knowledge of Visual Design & Management, and has earned her Bachelor’s Degree from the Fashion Institute of Design & Merchandising (FIDM) in Business Management, along with her Associate’s Degree in Visual Communications.